It has been a while since my last DIY (the Baroque tights) and this weekend I finally had a bit of time for another fun project that had been on my mind! For this DIY I combined two Chanel obsessions of mine; the black tipped Espadrilles and the Chanel Spring 2013 white on white Pearl trend! Luckily and much unlike the tights this DIY is very easy and takes less then 2 hours to make! Check out the tutorial here! We will start off by coloring the tip of the shoes black! I used a simple black pastel pencil by lack of a crayon. I used Pastel since I love the softness and the fact that it doesn't need to dry! Measure on the Espadrilles where you would like the black tip to end and use Scotch Tape to make sure you have a nice border. Press the scotch tape firmly on the canvas and start coloring (or dyeing) the canvas. After coloring you can remove the tape. When using a Pastel pencil or a crayon it's important you fixate otherwise the black color will wear off and stain other items! I fixated using regular Hair Spray and I used a few sheets of paper to protect the rest of the shoe. 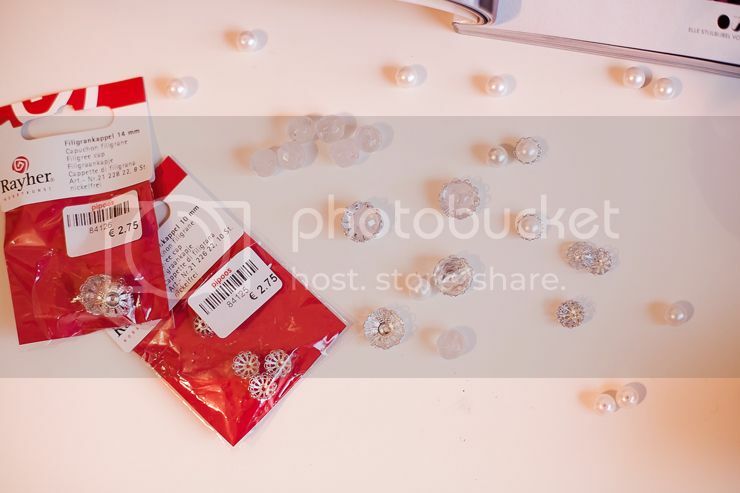 While letting the Hair Spray dry you can start prepping the pearls! Simply glue the pearls inside the Filigree caps. I sometimes dab a bit of glue directly on the pearl and sometimes dab a bit of glue inside the cap, either way works fine as long as you press the pearl firmly for a few seconds to the cap for a good hold. I used Pattex contact glue! In between you can check if the Pastel is fixated, it shouldn't give off black anymore! If it still does you can give it another round of Hair Spray! And last but not least the finishing touch! Double check if the hair spray/espadrilles are dry! 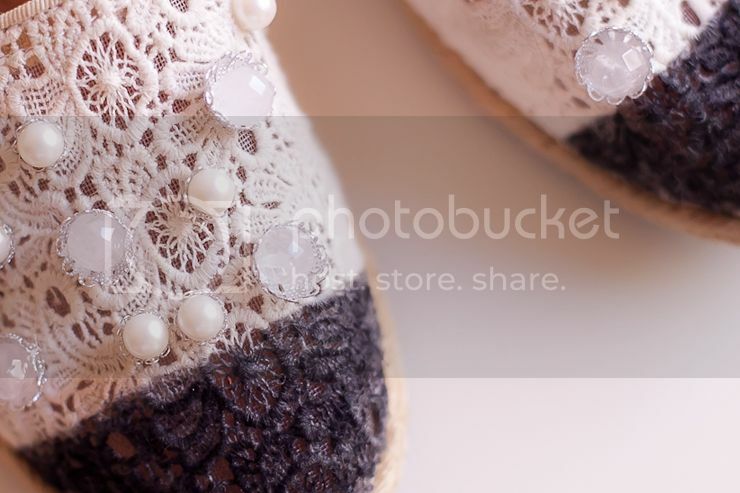 You can now start glueing the pearls on the shoes! Make sure you press and hold the pearls (now inside the filigree caps) firmly for a few seconds!